After using Grow Strong shampoo, apply conditioner to hair from root to tip. Rinse. Follow with Grow Strong leave-in treatment. 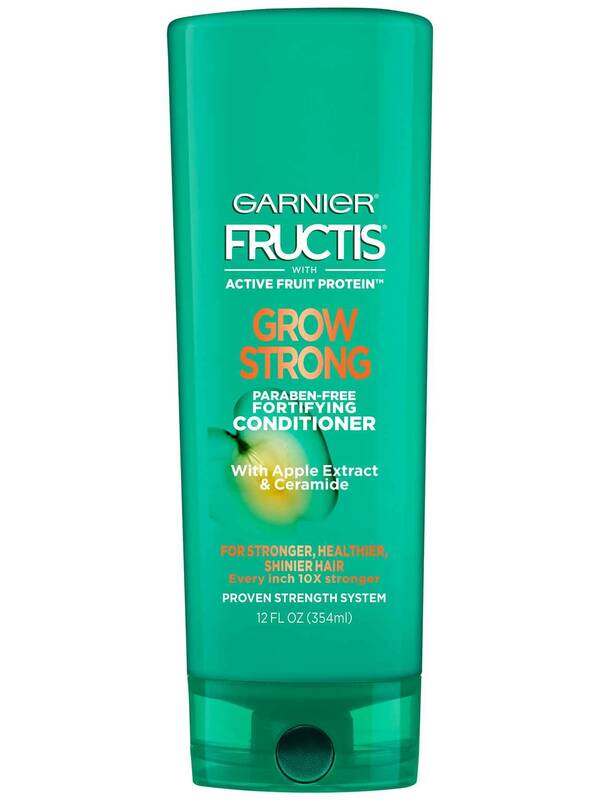 Rated 4 out of 5 by nicholt from I really enjoy Garnier Fructis Grow Strong Conditioner. My hair and scalp are super dry all the time so i am really harsh on conditioner. this one gets the job done. I've always liked Garnier products, so I wasn't all that surprised that this one works well for me. 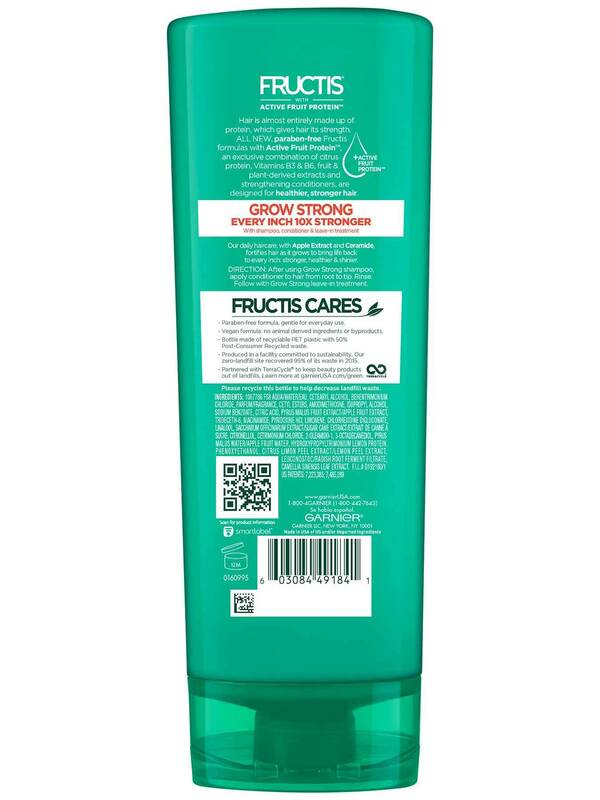 Rated 5 out of 5 by feliciaj71790 from I absolutely loved using this after using the garnier fructose grow strong shampoo. It not only made my hair feel super soft an super shiney. But It also smells super good too. Totally worth every penny. Rated 5 out of 5 by traceyh5 from I love the smell of this set, the apple is amazing. I do feel like my hair has improved a bunch since I started using this product. I only wash my hair every 3-4 days and my hair does not get greasy at all when I use the Garnier products. 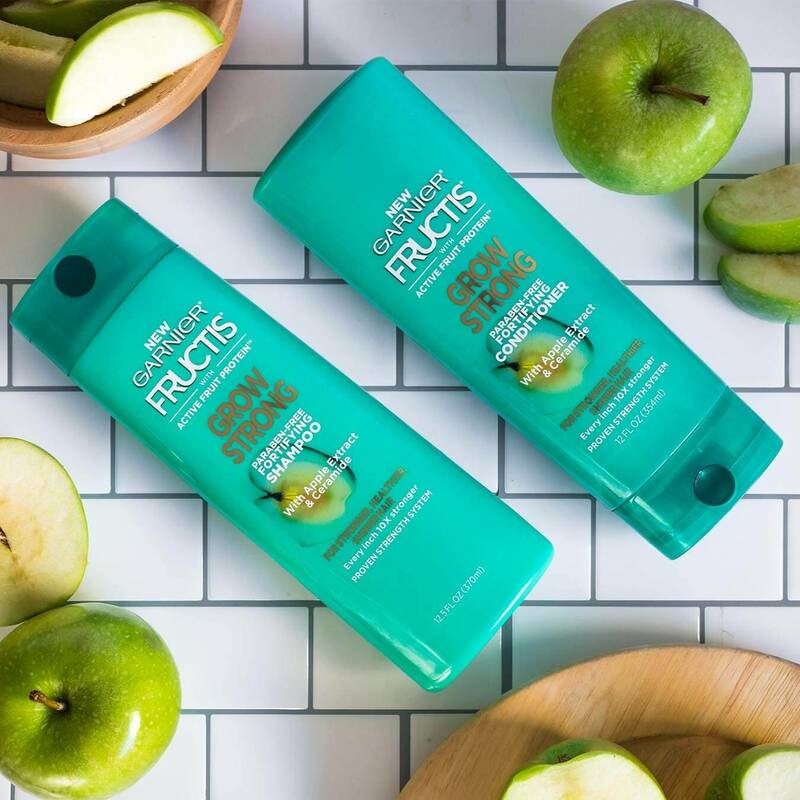 I love pairing these with other Garnier hair care products for best results! Rated 5 out of 5 by feliciaw4 from I personally loved this product. It smells lovely.. it did not cause my scalp to flake or dry which is a bonus. It helped my hair breakage lessen. It is very affordable which is great when on a budget. I'm very satisfied with this product it make my hair soft and strong.. also its Vegan! Rated 5 out of 5 by shii_lovescococurls from Love the smell its like a candy smell and then the price is great you can find it at Walmart works great with all curl types. Rated 5 out of 5 by gregg34b0 from Its a great conditioner. It leaves my hair feeling soft, and smelling great. I love that it has natural ingredients. It works well with my dry scalp and great to treat dandruff. Its inexpensive and would buy again.